“The Man Who Knew Infinity” (2015 production, 2016 release). Cast: Jeremy Irons, Dev Patel, Devika Bhise, Toby Jones, Stephen Fry, Jeremy Northam, Anthony Calf, Kevin McNally, Dhritiman Chatterjee, Arundathi Nag. Director: Matthew Brown. Screenplay: Matthew Brown. Book: Robert Kanigel, The Man Who Knew Infinity. Web site. Trailer. Ramanujan got a big break, though, when Cambridge University professor G.H. Hardy (Jeremy Irons) – himself a somewhat radical mathematical innovator – decided to investigate his theories in greater detail. He invited his Indian colleague to join him in England to further explore the plausibility of these new ideas. However, even the blessings of credible allies like Hardy and his colleagues, John Littlewood (Toby Jones) and Bertrand Russell (Jeremy Northam), were not enough for Ramanujan to get his work taken seriously. While his theories were seen as intriguing, he did not have the proofs to verify them, despite his impassioned insistence that they were indeed correct. Such “unsubstantiated” claims and his perceived unwillingness to prove them earned him the reputation of an arrogant charlatan, a label that his condescending English peers unreservedly slapped on him (something that came easily to them in light of their disapproving views of his ethnic background and lack of formal schooling). So, to ensure that Ramanujan received a fair shake, Hardy took him under his wing, shepherding him through the review process in hopes of his material being rendered legitimate. And, by following Hardy’s suggestions, Ramanujan came to understand what it means to have one’s dreams realized – and in ways that exceed expectations. Cambridge University professor G.H. 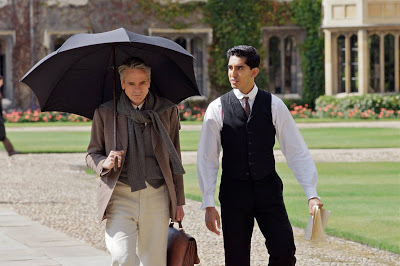 Hardy (Jeremy Irons, left) and Indian mathematical genius Srinivasa Ramanujan (Dev Patel, right) discuss advanced numerical theory in “The Man Who Knew Infinity.” Photo courtesy of Richard Blanshard, IFC Films. A keen awareness of our destiny can be both a blessing and a curse. The clarity that comes with such heightened cognizance makes it feel almost effortless in realizing our aspirations. 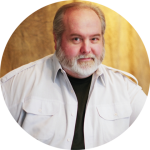 But that kind of unquestioned, self-assured personal understanding often runs afoul of the views of others, especially when placed under the microscope of skepticism. What’s more, given the unshakable faith we often have in such convictions, it’s easy to lose patience with naysayers who don’t share our vision, mainly because, to us, the validity of our contentions should be patently obvious. So what accounts for such a discrepancy in outlooks? In a nutshell, it all comes down to the beliefs we each possess. And the differences in our respective perspectives become palpable when those beliefs are employed in the conscious creation process, the means by which we harness our thoughts, ideas and intents to manifest the reality we each experience. For Ramanujan, his faith in his beliefs is so strong that he’s certain of the legitimacy of his ideas; he needs no further proof, and that contention characterizes the nature of his reality and outlook. However, those who require “evidence” of the authenticity of such notions employ a different set of manifesting beliefs in the existence they create, and that variance in intent accounts for the disconnect between their perspective and that of Ramanujan. But, thankfully, not everything in a scenario like this is black and white. Because conscious creation and the beliefs that fuel it make it possible to materialize an infinite range of probabilities at any given time, there will always be many intermediate shades of gray available, and that’s where Ramanujan’s allies come into play. Since colleagues like Hardy can appreciate the innovative nature of Ramanujan’s work while simultaneously understanding the need for verification required by the skeptics, these intermediaries hold beliefs that take stock of both perspectives, effectively running interference between the two polarizing viewpoints and allowing each to have their say in the unfolding of this line of probability. Those whose beliefs fall into “the middle ground” in situations like this symbolically help to illustrate how mediated notions metaphysically come into being. As conscious creators are well aware, our beliefs form through the synthesis of the input we receive from our intellect (signified here by the views of the skeptical Cambridge professors) and intuition (embodied in the unshakably poised outlook of Ramanujan). Ideally, though, we often get the best results when we strike a healthy balance between these two sources of inspiration (as symbolized by Hardy’s attitude). The narrative in this film thus demonstrates how the belief formation process works – and how it can be finessed to work most effectively. However, to reach the point where we can fully appreciate this, we must often go through the process of experiencing the attributes of each opposing perspective (and the beliefs that drive them) to arrive at an equitable compromise, one in which we can value the benefits of both the intellect and the intuition and what arises when the two come into balance. When that happens, we have an opportunity to partake in the dance of the intellect and the intuition in belief formation for bringing forth the intangible into tangible being. Indeed, while neither element should be allowed to ride roughshod over the other, this is not to suggest that either the intellect or the intuition is inherently damaging. Both clearly have beneficial attributes, and exploring them can prove useful in amassing our individual databases of personal experience. For example, placing an emphasis on the intellect (as the Cambridge faculty does) enables us to hone our capacity for rational, logical thought. Fields like science and mathematics depend heavily on this, so the greater our intellectual capacities, the more adept we’re likely to become in these areas. Similarly, focusing on the intuition (as Ramanujan does) allows us to develop an appreciation for feelings, emotions and gut impressions. Art and other creative endeavors benefit from this, enabling us to become more proficient painters, writers, chefs and musicians. But “creativity” is not limited to such tangible expressions; it encompasses anything we manifest through the conscious creation process, and a heightened intuition can help enliven this. 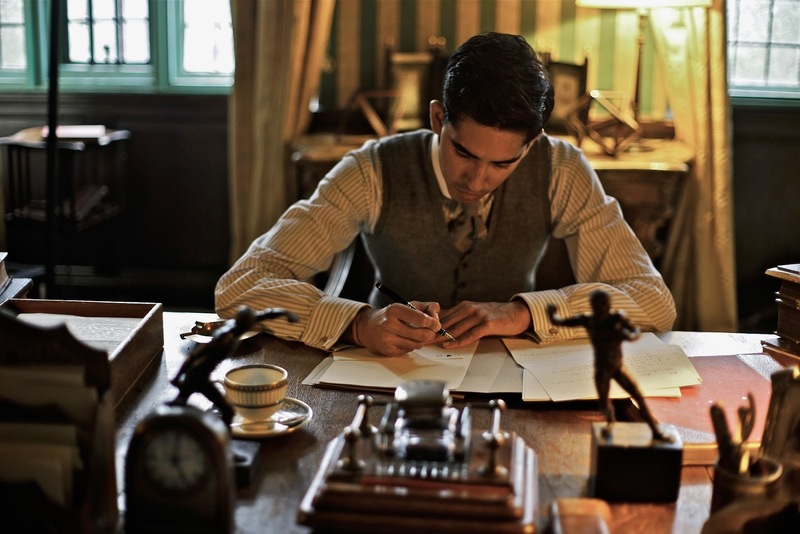 Indian mathematical genius Srinivasa Ramanujan (Dev Patel) seeks to get his revolutionary ideas published while in residence at Cambridge University in “The Man Who Knew Infinity.” Photo courtesy of IFC Films. Moreover, a better grasp on our intuition can also help us foster a deeper, more intimate relationship with All That Is, our divine collaborator in all of our manifestation efforts. Ramanujan readily recognizes the existence and splendor of this partnership and doesn’t hesitate to make others aware of the role it plays in his work and the fulfillment of his destiny, no matter how reticent they may be about embracing such an outlook. Overcoming this resistance is challenging for Ramanujan, though, given the widespread skepticism among the intellectually driven Cambridge staff. Even Hardy, who is much more willing than his peers to give his protégé the benefit of the doubt on this point, has difficulty accepting Ramanujan’s contention; as an avowed atheist, Hardy has trouble appreciating such an esoteric concept, despite its undeniable influence on the existence and evolution of his colleague’s work. Ramanujan’s belief-based faith in the role of the divine in his life has implications that extend beyond the mere development of his revolutionary theories. He knows that All That Is will see him through all of his trials and tribulations, like finding allies who will support him and locating the means to get his work published, because his beliefs enable it. But that faith even goes beyond such comparatively pedestrian challenges, extending into other areas of his life, like dealing with the rampant prejudice he faces in the dogmatic world of academia and, because of his ethnic background, in the world at large. By going through the process of learning how beliefs form, all of the parties in this scenario (but especially Ramanujan and Hardy) develop an appreciation for the value of change. Again, because conscious creation makes all expressions of existence possible, reality obviously is not a static, unchanging state of being; rather, it is a fluid, dynamic phenomenon that is said to be in a constant state of becoming, with change (and the beliefs that drive it) being the agent of alteration. Hardy, for example, a mathematical innovator in his own right, readily recognizes the importance of change (having been personally responsible for bringing about significant advances in the field long before he met his Indian colleague), and he’s open to additional new ideas, even if they don’t come from conventional sources. Ramanujan, meanwhile, comes to see that, if he’s to be taken seriously, he must change his ways in how he makes his ideas known, an adjustment that ultimately works to his benefit. And the Cambridge faculty members, like Major MacMahon (Kevin McNally), who have long been ensconced in their own dogma, have their eyes opened by their radical colleagues, making it possible for them to embrace changed outlooks that may have once seemed intractable. All of these factors loom large in the fulfillment of Ramanujan’s destiny. But, thankfully, he recognizes the wisdom of these ideas as he moves through the process, with a payoff that’s beyond what he imagined – not only for himself, but also for those who benefitted from his work. “The Man Who Knew Infinity” is a sincere, modestly intriguing biopic with excellent period piece production values and solid performances by Irons and Patel. In many regards, the film’s narrative and subject matter are somewhat reminiscent of “The Theory of Everything” (2014), effectively exploring a great mind’s attempts at overcoming obstacles in the fulfillment of one’s life purpose. The picture’s spiritual and metaphysical undertones are quite engaging, helping to elevate a story that, without them, might have otherwise been unendurably dull. However, despite these strengths, the film comes up a little short on other fronts. Its depictions of the protagonist’s personal life – particularly his relationship with his wife (Devika Bhise), who remains in India while on his years-long journey to England – and of the impact of World War I on Ramanujan’s life at Cambridge are under-developed, their inclusion feeling more historically obligatory than meaningful and relevant. What’s more, while it’s easy to appreciate the twin collaborators’ passion for their work, the narrative is a little thin when it comes to explaining its importance, which may leave some viewers wondering why they should care about it. Shoring up these aspects of the story would have made for a better, more focused movie. Living up to our potential is something most of us hope to do, and those who have a built-in understanding of what that entails have a distinct advantage. But knowing how to fulfill it is key, and appreciating the role of conscious creation can prove crucial, allowing us, like Ramanujan, to reach for infinity – and beyond.  Copyright © 2016, by Brent Marchant. All rights reserved.